Style Cubby - Fashion and Lifestyle Blog Based in New England: Gift Guide: Holiday Themed Goodies! 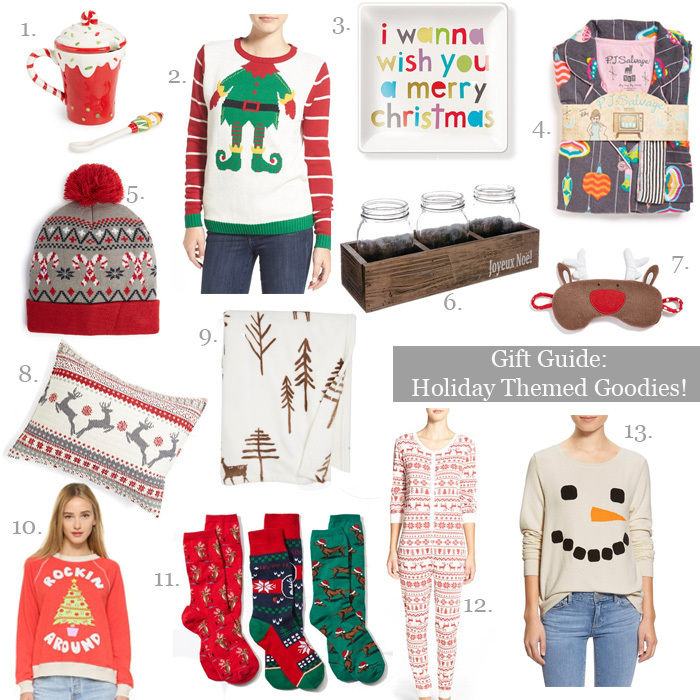 Gift Guide: Holiday Themed Goodies! If you know me personally (or follow closely on my blog or Instagram) then it should come as no surprise for me to say I'm obsessed with Christmas (P.S. I think this sweater was made for me!). So naturally, I've been looking forward to this Gift Guide the most! Anything that spews "christmas", I want. This time of year has always evoked a very happy feeling for me and anything related to the Holiday brings back memories that make me so excited! While it would be almost impossible to choose favorites from this gift guide, I am especially loving this snowman sweater (from one of my favorite "comfy" brands! ), this candy cane hat, and this rustic table decor! What are your favorites?